Cozy Beehive: The President's "First Mechanic"
10 The President's "First Mechanic"
I pointed you out to an an article in the past about the President's love for mountain biking. 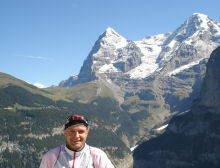 A few of you readers were shocked after realizing TREK and Cannondale supplied the President with the "First Bicycles". One comment went like this : "The fact that Trek and Cannondale gave him a bike as a gift has turned me away from those companies permanently." A couple of others I think agreed. Santiago Gonzalez is co-owner of Revolution Cycles, a two-state store that has been included in Bicycle Research's top 100 Bicycle Retailers list for 2008. He has been the President's bicycle mechanic. Dubbed "The First Mechanic" by bicycling magazine, Gonzalez has also supplied bikes to the secret service and a couple of other noted luminaries in the political and media scene. Here, Santiago recounts his time with the President and reveals some of his cycling habits. How long have you been working on bicycles? Me? Uh ... too long. About 20 years. Way back when … I was a young kid, a real good friend of mine open[ed] up a bike shop, [and] I used to go hang out after school [and] do my homework and stuff. So he says, ‘Well we’re gonna need a mechanic ’cause the business is picking up.’ He left town and sold me his business. I’m from Spain. ... We didn’t have that kind of means of supporting a racer, so no. ... I wish I did. What kind of bicycle does the president ride? He rides a [Trek] Fuel EX 9.5. There are only three in existence. We have one that rotates between the stores. XTR components, top of the line. It’s painted the Air Force scheme [like Air Force Once]. It also has the presidential seal. It’s a mountain bike. How did you start working on the president’s bicycle? Literally when he took office, ’cause when he took office, Trek donated 20 bikes to the Secret Service, and then from that point on, he was riding and he was not fitted correctly by whoever had sold him his previous bike. The owner of Trek was in the presidential fitness council [and] knew [the president], and he told me he was having issues with the bike. He recommended [that] my partner come and set him up on the bike, and from that point on, we became his store. 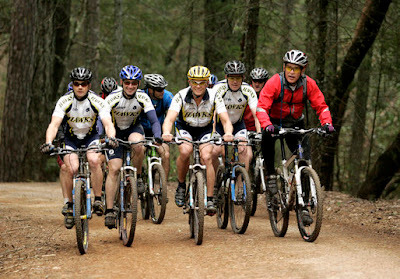 Would you consider President Bush a bicycle enthusiast? Oh yeah. My partner has gone with him for a few rides. 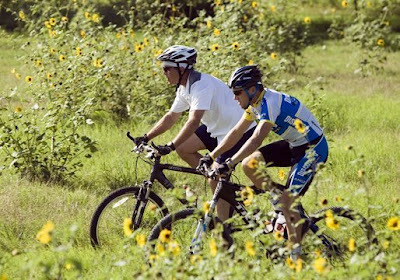 Some have the misconception [about] the president ‘yeah, he rides.’ He rides hard, he’s an avid cyclist; he likes the good stuff — very serious. He rides very, very hard on the bike. Do you also deal with the Secret Service? We deal with the majority of the Secret Service people, the Vice Presidential Secret Service. We also deal with ... the Presidential Protection Detail, the guys that always ride with him. … We always deal with the police agencies in town, even the police guys from Georgetown. I think I may need a bathroom break. Is this possible? How often does he ride it? It’d be hard to tell you. He does ride quite a bit. I would say probably often. Have you ever interacted with (even ridden with) him personally? Do you sell and maintain bikes for Law Enforcement? It’s like a half and half. We’ve sold half of the bikes for [Law Enforcement in the D.C. area]. They come up to us especially when they find out we have serviced the president’s bike or when they find out the other law enforcements have serviced the bikes [with us]. We have four locations. We have one in D.C., one across the bridge, Stepford and one up in Rockville. It’s usually like a mix, local residents … people who come from all over Washington. I’ve also done Bill Clinton’s bike, one of the ones Lance Armstrong gave him. ... The second race Lance won, he gave him a replica of the one [he used]. I almost had three presidents when Kerry ran. He went bike riding; he borrowed [bike store workers’] stuff. When he came in he was by himself. There was an article in one of the magazines. ... 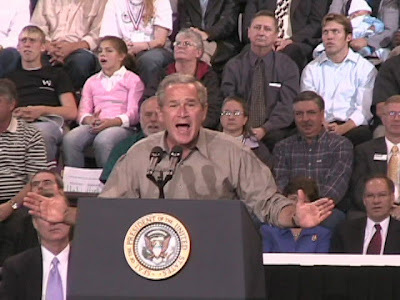 They were poking fun [at Kerry’s and Bush’s bicycle riding]. Did the president pick his bike? That’s a good question. I don’t know whether he picked it. He knows what he wants. He chooses the certain things he wants on his bike. When he bought a newer bike from Trek, he wanted a mirror copy of the one he had. It was a new frame. ... Instead of painted [like] Air Force One … it had stars ... faded from blue to white. The Secret Service guys came in and said, ‘Spitting image of what he’s riding. Same measurements.’ Believe me there was an issue when we couldn’t get his seat post — everything had to be identical. They misunderestimated me!!! I like clipless pedals... so I told em', bring some to the White House!! When he got the first bike he had regular pedals. ... After a while my partner approached him and he said you might want to consider ‘clipless’ [pedals into which special shoes fasten]. ... [The president said,] ‘Bring some to the White House and fit me up.’ He gets up on the bike riding around the White House. He was up on the White House lawn riding around with him. 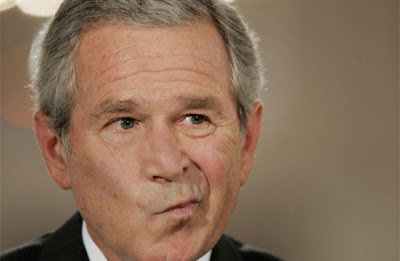 Bush is supposed to be in the top 2% of fitness for his age group. Cheney on the other hand. HA! Is it just me or do I think he has an aversion to wearing Lycra? I got a laugh from the picture comments. Maybe I'll check out the shop next time I'm in DC. Why do you never see the very fit W. on a racing bike? Lance Armstrong has given him at least two nice Trek OLCV bikes, as I recall. Mixed with Lycra-aversion, could it be that road riding is not considered as manly as MTBing and hence detrimental to the Presidential image? 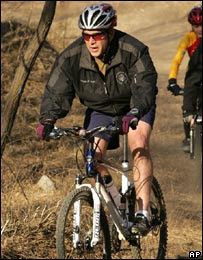 John Kerry has a Serotta (or two) but you never saw him in Lycra during the 2004 campaign. 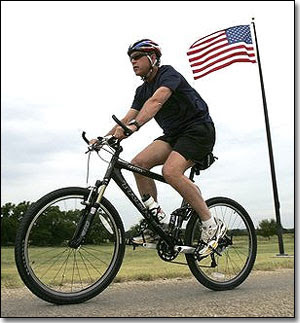 Of course, Republicans insisted on pointing out that Sen. Kerry had an Eye-talian bicycle! on't know if MTB'ing is more manly. I presume he may have jumped on a road bike more than once, but the cameras always get him with his mountain bikes. The slimness of road tires, the flexibility required to commandeer its horn-like handlebars, security concerns of riding on public roads as opposed to secluded trails, and the terrain versatility of the MTB or hybrid presents some appropriate hypotheses behind his road bike avoidance. 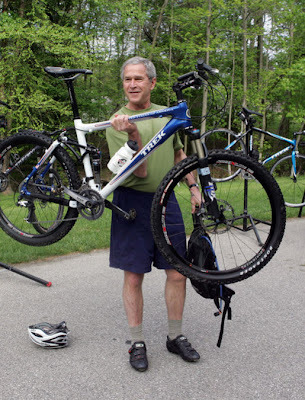 I think its nice to be conservative when you're President :) To catch him in all "inappropriateness of Lycra" by foreign contemporaries must be a no-no for Washington. Revolution is a solid shop! he is a solid dude! Yeah, supposedly he's in incredible shape. I'd like to get me a job where I can kinda f*ck off a bit more, and get some good long rides in. My current job is just a little too "hands-on" to really ride consistently (I have a lot of responsibility as a Technical Assistant Team Leader on a medium sized VB data management project).